PE Goldfish Flakes: A nutritionally complete and color-enhancing diet for goldfish. PE® Flakes – Goldfish Food are the first aquarium fish food flakes for goldfish to be formulated with fresh PE®MYSIS shrimp as the leading ingredient! 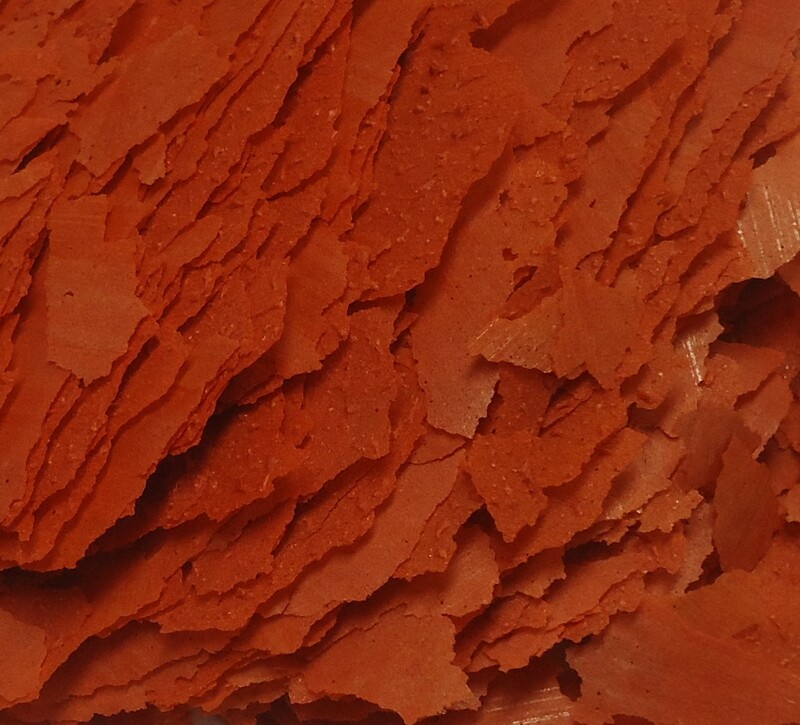 PE® Flake foods for goldfish are an extremely palatable, and nutritionally complete fish food flake diet designed to enhance coloration and induce an energetic feeding response in all varieties of goldfish. PE® Mysis are harvested at nighttime from a freshwater lake in Canada when the Mysis are actively feeding on phytoplankton and zooplankton near the surface. This natural diet rich in phytoplankton which PE® Mysis prey upon is what makes PE® Mysis such an ideal food for omnivorous goldfish. Fresh PE® Mysis shrimp incorporated as the leading ingredient into the formulation of PE® Flakes for goldfish enables preservation of nutrition during production, protecting the integrity of the ingredients resulting in a digestible diet which does not foul your aquarium water and provides all the necessary nutrition for goldfish. 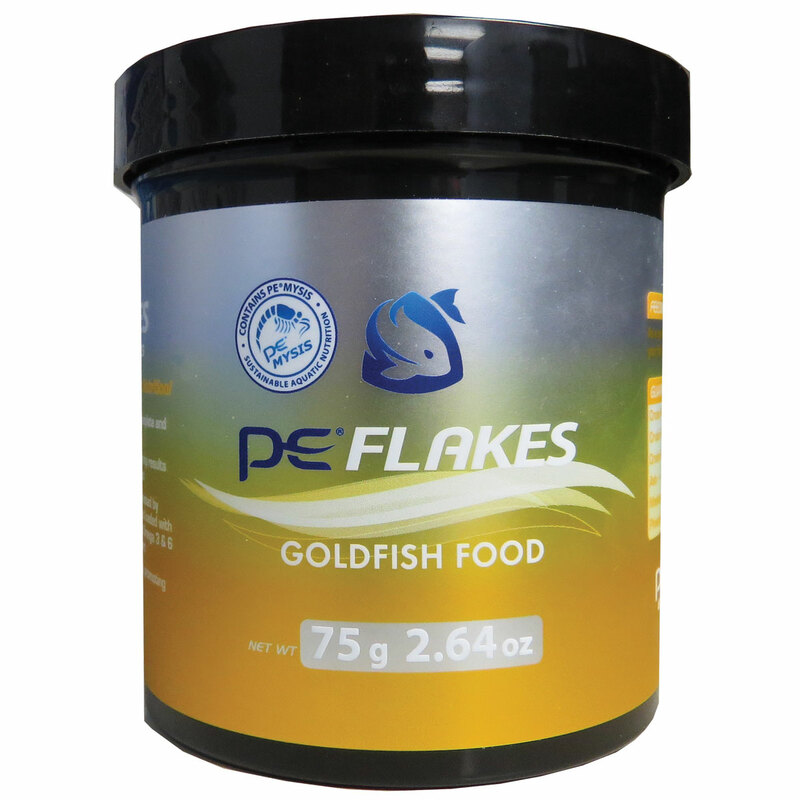 PE® Mysis Flakes – goldfish food is an ideal food for a variety of fancy goldfish such as Fantail goldfish, Oranda goldfish, Pearscale goldfish, Ryukin goldfish in addition to common goldfish comets, koi and other pond fish. Mysis Diluviana, Fish Meal, Wheat Flour, Soy Flour, Soy Protein Concentrate, Grain Distillers Dried Yeast, Spirulina, Manganese Proteinate, Zinc Proteinate, Copper Proteinate, Iodate, Iron Proteinate, Cobalt Proteinate, Carbonate, Sodium Selenite, Vitamin A Acetate, Vitamin D3 Supplement, dl-Alpha Tocopheryl Acetate (Vitamin E Supplement), Vitamin B12 Supplement, Riboflavin-5-Phosphate, Niacin, d-Calcium Pantothenate, Menadione Sodium Bisulfite Complex (source of Vitamin K Activity), Folic Acid, Thiamine Mononitrate, Pyridoxine Hydrochloride, Biotin, L-Ascorbyl-2-Polyphosphate (source of Vitamin C), Ethoxyquin (Preservative), Sodium Alginate, Soy Lecithin, Choline Chloride, Sorbitan Mono-Stearate, Sorbitol, Red 7 Lake, Yellow 5 Lake, Yeast Extract, Anise Oil, TBHQ (Preservative). Crude Protein: 35.0% Min. Crude Fat: 5.0% Min. Crude Fiber: 3.5% Max. Moisture 10.0% Max. Ash: 9.0 % Max. Phosphorus: 1.0 % Min. As a general rule, feed PE Goldfish Flakes two to three times daily as much as your fish will eat within 3 minutes. Our juvenile leafy dragons, now 6 months old, have been eating the Piscine Energetics Mysis for about two months now!